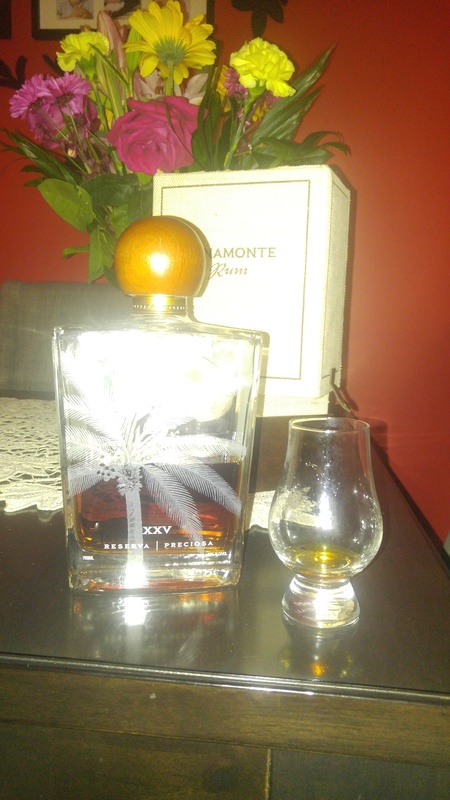 Have you found an online vendor selling Panamonte Reserva XXV? I've waited along time before i decided to open this bottle; and it was well worth the wait. To date this is one of the tastiest bottles of rum I have ever tried. It is sweet but not too sweet; it has some spice but not too much spice; it is fruity but not too fruity. Long story short; it is a perfectly balanced rum that I would recommend to anyone who has $600 to buy something special. Now I gave this a 10 but if I could give half marks I would give this a 9 1/2 because of the crappy plastic screw top embedded in a wood finish and the shotty display packaging. You would think for the cost that the presentation would have been a bit better; because of that I am only giving it a 9 1/2. Bottle 4680/batch no1. As close to perfection as you can wish, thick and flavorful, almost don't notice the alcohol but it's there. Long and strong aftertaste, warms up your chest and stays there. Masterpiece! this rum is very very good, super smooth not too sweet, loads of fruit flavour, awesome. I know cost is subjective, but at almost $500 I don't think it's as good as diplomatico sv 2000 or Ron abuelo centuria and those are $130. Cost has no effect on my rating I really believe those 2 are simply better. Just one mans opinion. I agree with the other reviewer here that for the cost better packaging is expected. Batch 1, Bottle 5327. This is a fantastic rum, near the top of the '9' scale to me. Smells and tastes of molasses, bourbon, oak, tobacco, spice, caramel, leather, and brown sugar. I was going to save this for my 300th review, but I had a 'sneak' taste when some fellow Rum lovers came over, and realized this wasn't quite a '10' to me, as it has just a bit too much bourbon (though not nearly as much as other bourbon aged rums I've tried) and is a tad dry for my liking (though not nearly as dry as most other bourbon aged rums I've tried). Very well balanced, and smooth. A great bourbon aged rum for sure! its hard to say which one is better the El derado 25 or this. but are my Fav. This is a incredible product from Panama, and it's handcrafted from Don Pancho (the king of rum), and every drop in this rum is 25 years old, which appeals to me a lot! When you give the glass a swirl, the rum makes some fat drops, that moves very slowly down. When I put my nose into the glass I sense a very complex rum, and it's hard to pick the notes from each other, but the notes I find is dark chocolate, caramel and oak, and on the tounge this is a really intense experience which offers molasse, oak, dark toffe, dark chocolate and a little bit of smoke. There is a good power to it, and there shouldn't be added anything to this rum, which gives it a very clean taste. The aftertaste just hangs for incredible long time, and the oak and molasse can be tasted several minutes after. Unfortunately the conditions trying this rum were not very good and I had tasted this one too early in my rum experiences.Based on prior reviews I definitely need to give this a second chance now that my palate is more refined. An amazing rum. Was put off for the longest time by the box. Finally bought it and what a pleasant surprise.A must buy for rum lovers. It was with greatest pleasure to enjoy the Panamonte Reserva XXV. 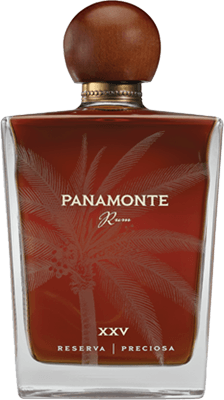 As a rum lover I preferred the Venezuelan rums until I met the Panamonte. Since then it has become my favorite rum. Also from the same creator is the Panama Red which is an over proof rum and being in a price category of 35+ USD an affordable choice for many occasions! However the Creme de la Creme is definitely the Panamonte Reserva XXV!